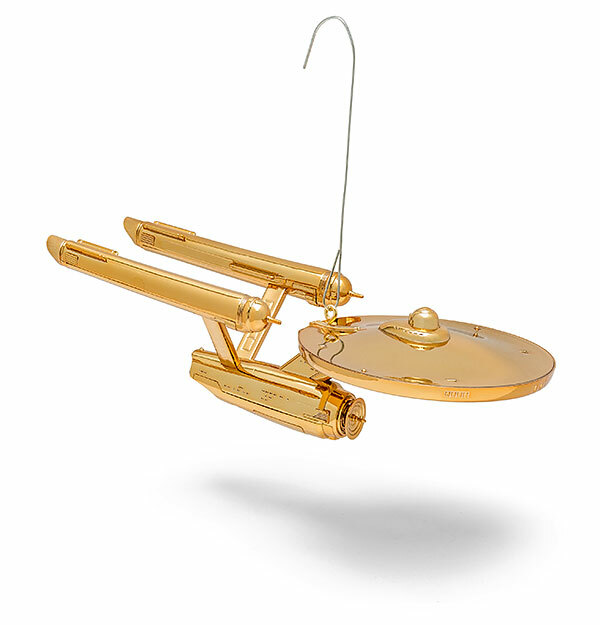 This Star Trek Enterprise Ornament is in gold to celebrate Star Trek’s 50th Anniversary. 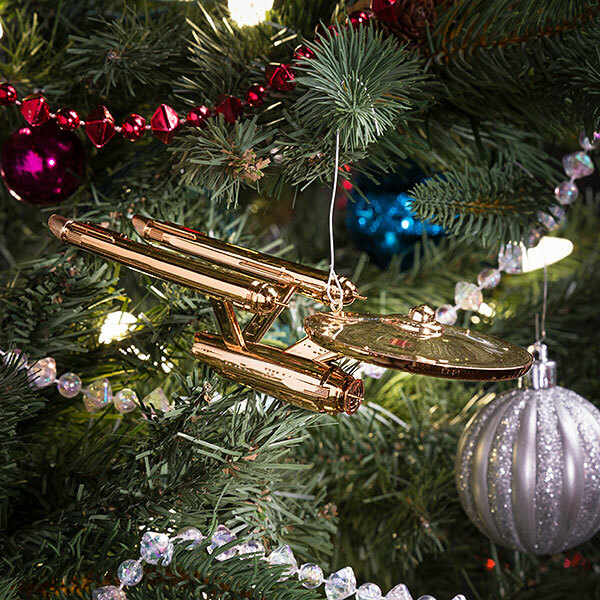 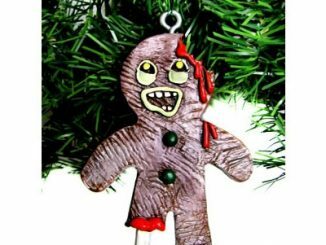 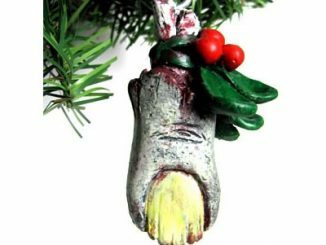 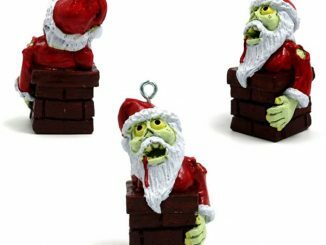 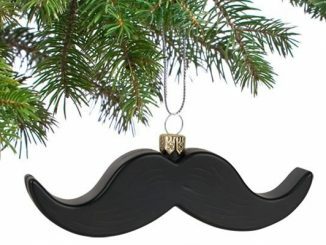 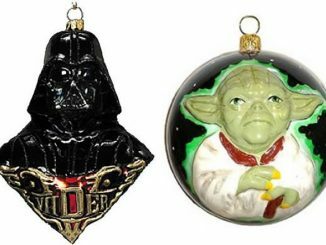 It is going to look awesome wherever it is displayed, on your Christmas tree or anywhere. 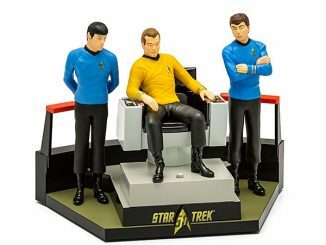 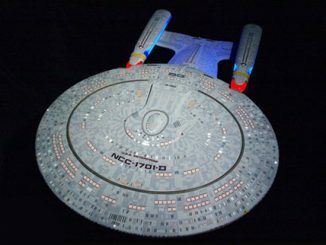 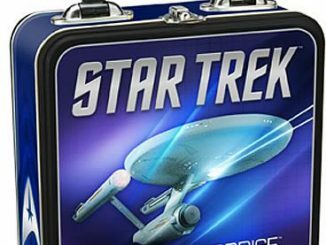 It plays the Star Trek theme song when the bridge is pressed. 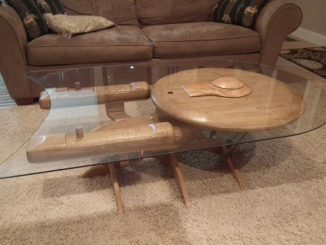 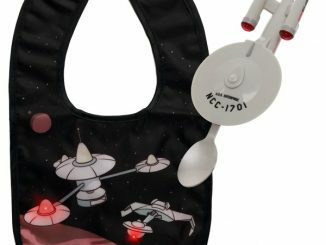 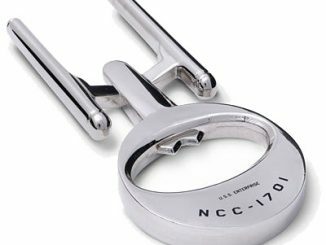 Kirk and Scotty would love this.